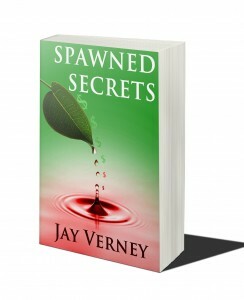 My third novel, Spawned Secrets, was published under the imprint of Zen Kettle Books. Click the book cover below to go to Amazon and take a closer gander, or visit Zen Kettle Books for more purchase options – Spawned Secrets is available in paperback, too, and The Book Depository will send it to you with free, yes, free, delivery – no pesky postage. What could be better than that. 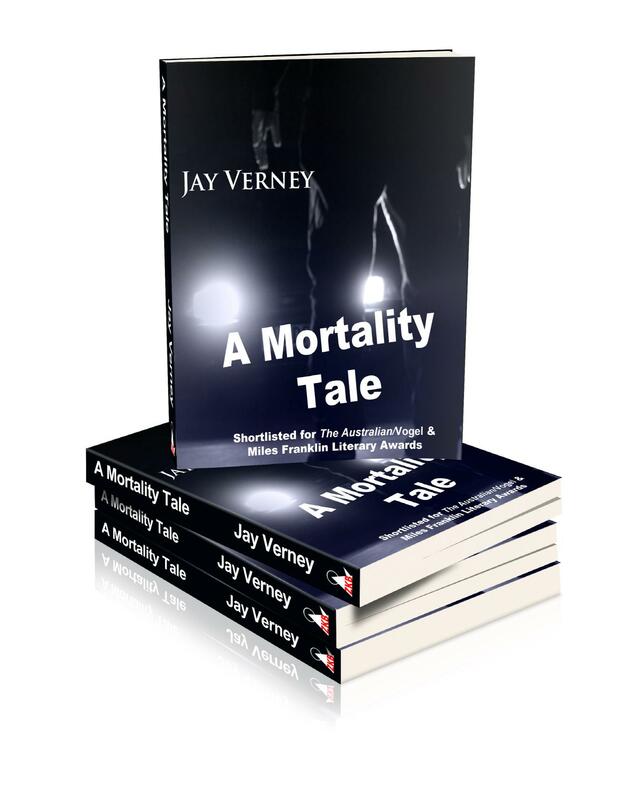 I own the electronic rights to my first two novels, A Mortality Tale and Percussion, which are available in paperback from the University of Queensland Press. A Mortality Tale is now available as an ebook from Amazon Kindle. From the paperback’s cover blurb: A wild summer storm has blacked out the streets. By the time she sees the young man in her headlights it’s too late. Stunned, Carmen drives home in the downpour. No one has seen her, but does this mean she’ll get away with it? Teasing out the ambiguities of responsibility and retribution, Jay Verney explores Carmen’s dilemma with a crisp, dry wit that will send you in search of her next novel. 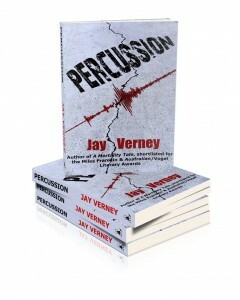 Percussion is available now as an ebook from Amazon for your Kindle or Kindle App, and just look at that beautiful cover. Irresistible, isn’t it? Yet another Zen Kettle Design original. From the paperback’s cover blurb: When Anna Maher accompanies her mother Maggie and grandmother Veronica to the United States for a war veterans’ reunion, she is struck by the American way of denying death. The three women have a terrifying brush with their own mortality when a destructive earthquake hits Los Angeles. A sharply hilarious but very human new novel by the author of A Mortality Tale.